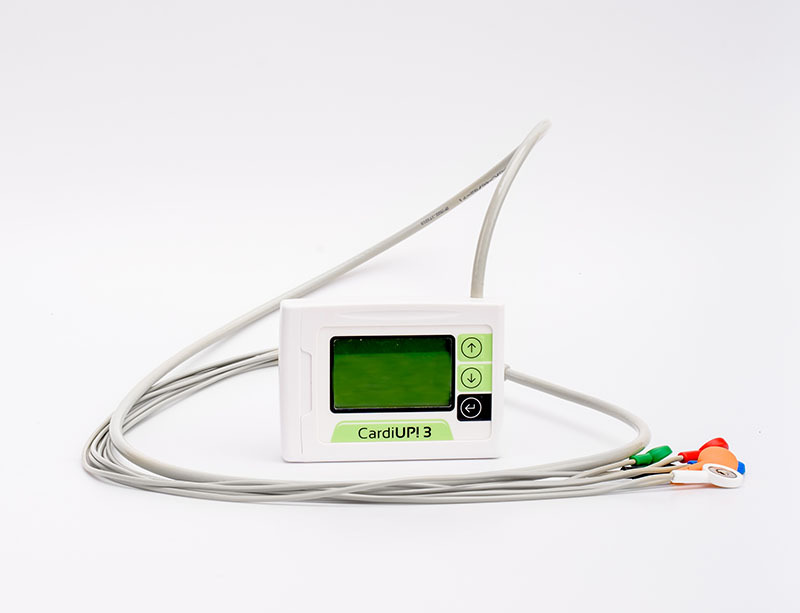 CardiUP!12 and its 3-channel only version CardiUP!3 record all-day ECG up to 7 days and provide a complex cardiac risk analysis. Don't miss a beat! Full disclosure Holter ECG monitoring from 24 to 168 hrs. 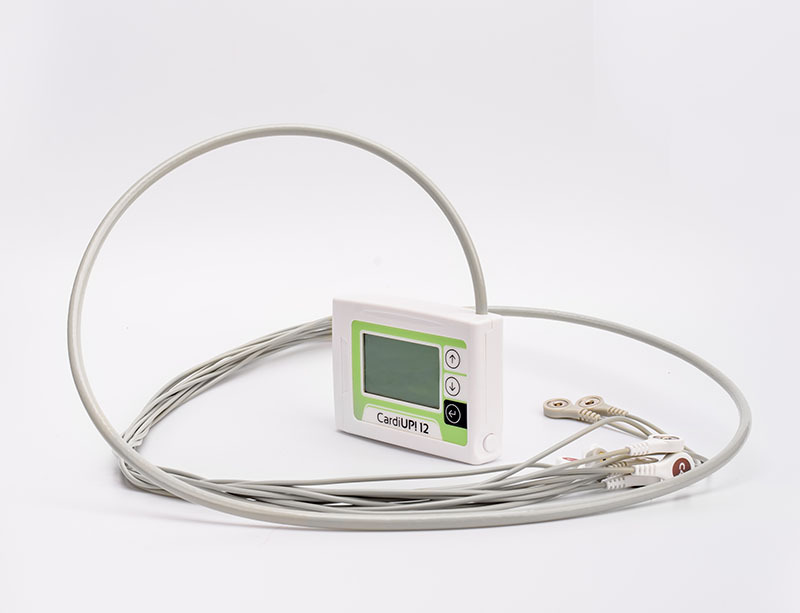 Real-time on-screen ECG display for accurate hookups. While CardiUP!12 can be used on 3/12 channels for those, who prefers the classic resting ECG layout system, CardiUP!3 is available in a 3-channel version only. No special cable is needed for communication. The large LCD screen makes it possible to program the monitor manually by using the 3 menu operation buttons. 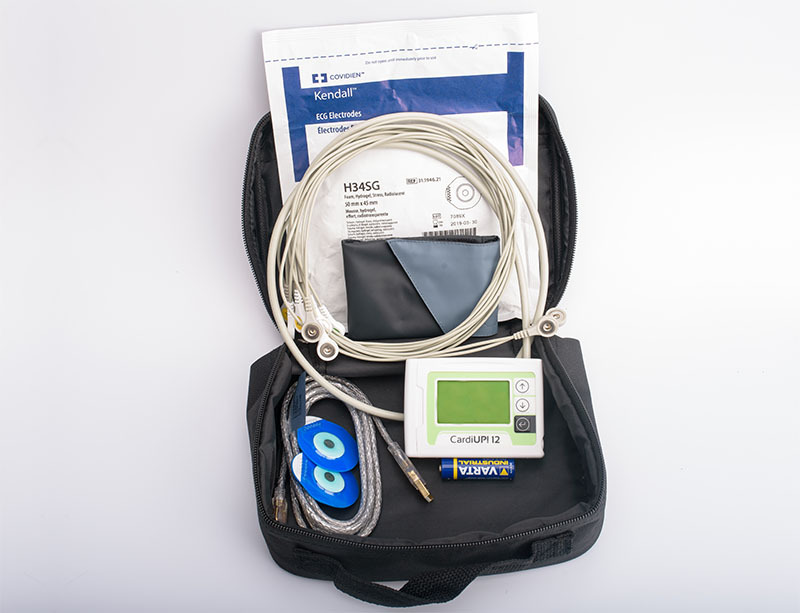 Multi-wearable, easy clean carrying case for patient comfort. CardioVisions provides automatic beat-by-beat ECG, ST, PQ, QT and HRV analysis for free. The QRS detection algorithm of the software is 99.9% accurate according to AHA and MIT database. 1*Holter recorder, 1* AA battery, 1*easy-clean carrying case, 1*patient ECG cable set, 1* disposable ECG electrodes, 1* CD with the latest software & user docs, 1* mini USb cable, 1* black case.